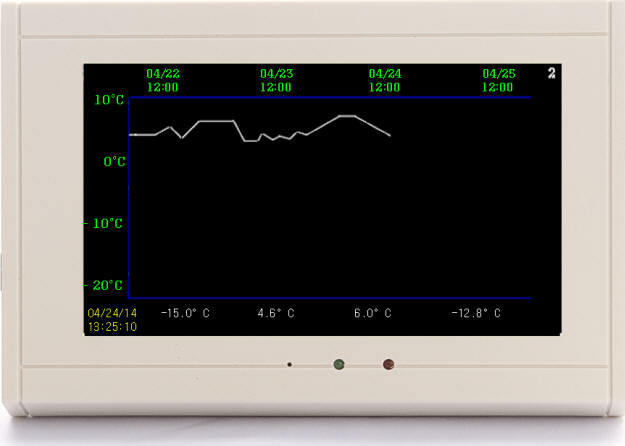 The TV2 is a highly engineered monitor/alarm/logger with a simple user interface. It uses remote wire or wireless sensors to collect temperature, humidity and/or pressure data. The Easy-Touch™display shows current conditions as well as days, weeks, months and even years of logged data. 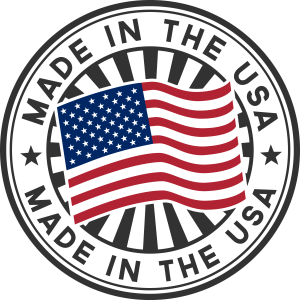 It complies with all federal regulations. 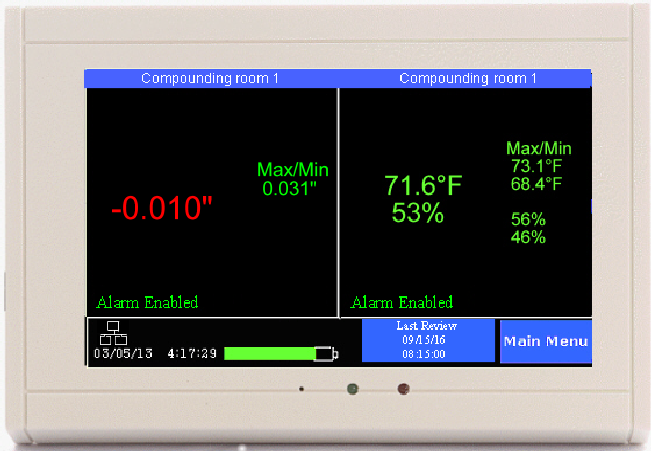 It displays current, maximum /minimum conditions and digital charts for up to four remote wired or wireless sensors. It logs and charts all monitored conditions which it stores in non-volatile memory for protection. All stored data is encrypted to comply with 21 CFR 11, and can be copied to a computer for archiving or printing with a USB cable or over a Local Area Network. All logged data can be viewed in graphic form or exported to an Excel file. The TV2 stores up to 80,000 data points for each sensor, which means that it will store over 2 years of temperature history if you are sampling temperature once every 10 minutes. If you are logging temperature and humidity, it stores over 12 months of history for each of the four sensors. Although the TV2 can store and display temperature from absolute zero to thousands of degrees, the actual temperatures collected depends on the type of sensors being used (see below). In addition to showing the current conditions the TV2 can display the logged data for each sensor. Touching one of the displayed values on the QuickCheck display causes the logged data to be displayed as an easy-to-read chart. The chart can be scrolled backwards and forward. It can also be zoomed into or out of to show more or less data. A password-protected Easy-Touch™menu is used to set the system and display parameters such as high and low temperatures, sampling intervals, and alarm levels. Since the menu system is password protected, the TV2 can be placed in high traffic areas so that each staff member can see it and be part of your quality control process. The TV2 is powered with wall power or through a USB cable and has a internal 72-hour rechargeable lithium battery backup. When it enters battery mode during a power failure the display ‘sleeps’ but the sensors continue to collect data for over seventy-two hours depending on your settings. In the event that power is not restored before the battery is depleted, the stored data will still be retained although the unit will no longer log or display new data. Once power is restored, the display wakes up, the battery begins to be recharged, and normal operations continue. The LCD is a full color Easy-Touch™graphic display, controlled by a microprocessor that shows 220 columns of temperature data. This means that three hours of data is displayed if a temperature has been recorded once a minute, or thirty hours of data is displayed if it is being recorded once every ten minutes. However, it is possible to view more than 180 temperatures on the display at one time. Each time the display is ‘zoomed out’ the number of logged values shown doubles. This unique feature makes it possible to display over 80,000 logged points on one screen. The bottom or the QuickCheck display shows the current date, and time, the battery charge level, a network connected icon, as well as the Menu and Last Reviewed Date hot-spots.